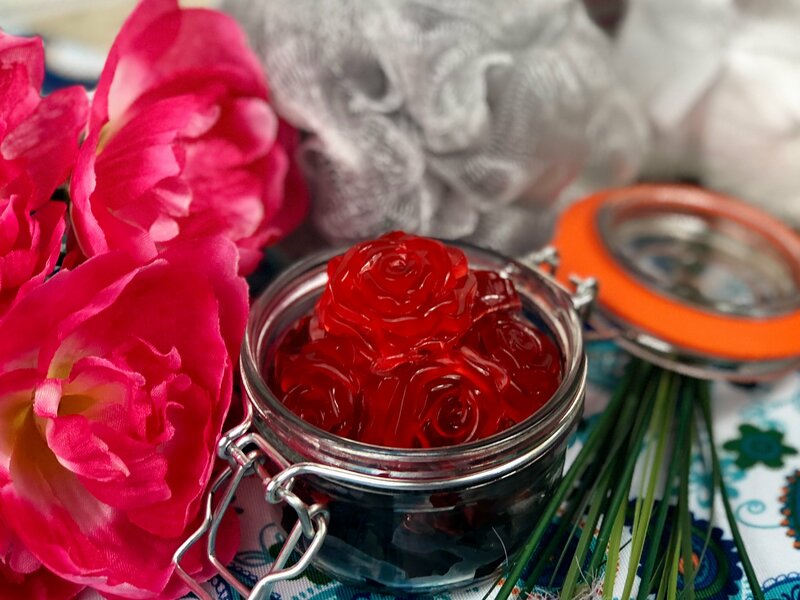 If you are a Lush fan than you will swoon over this DIY Lush inspired shower jelly I created! Not to mention this lush, inspired shower jelly will save you a ton when it comes to your billfold. 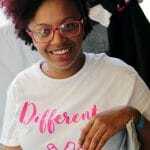 I love the bright and bold colors and all the glitter that you find in the Lush stores, and not to mention all the fantastic aromas that come from their shower jellies, bath bombs and other goodies they carry! 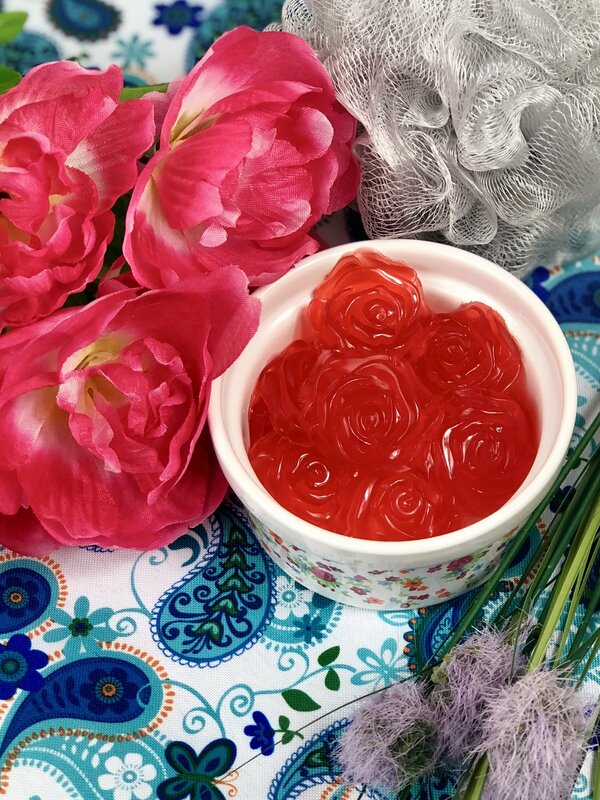 If you want to learn how to make shower jellies, then read below. I will share an easy recipe that anyone can make! Treat yourself, or give these as a gift to a friend or loved one. Trust me; you will be thanking me later. 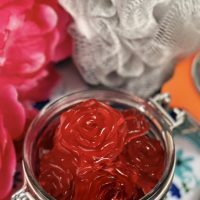 You use regular everyday products to create these rich and fragrant shower jelly that will leave your skin feeling silky smooth. Grab some unflavored gelatin, food coloring, containers, and your favorite body wash.
Then just follow the simple instructions below and hop in the shower and enjoy the lush shower jelly. The shower jelly will form a nice solid form so that when you go to the shower, you lather it up like you would a bar of soap. I always use a nice smelling body wash. Depending on the season will depend on the scent. I like to reach for a floral or even coconut scented wash during the warmer months of the year, and then for like peppermint or even a coffee scented in the colder months. 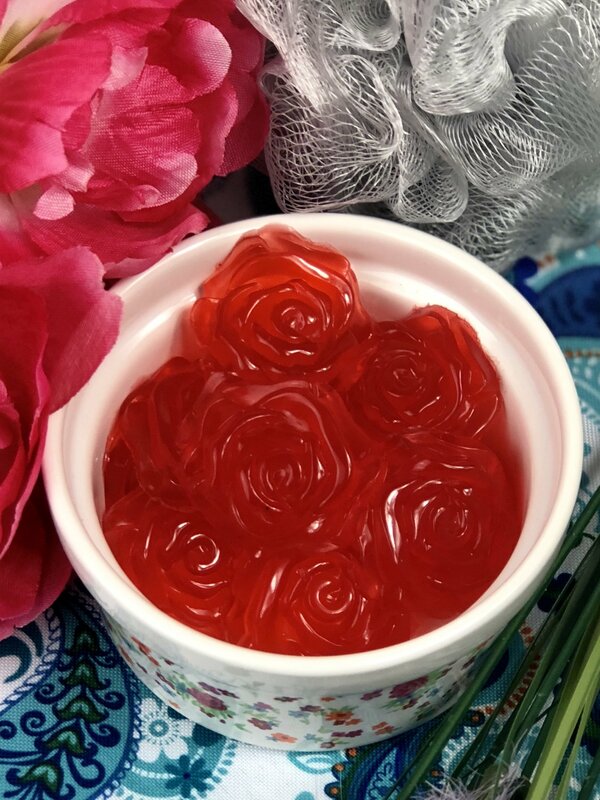 My girls and I make these shower jellies all year round. I have also made them and given to friends and family for their birthdays and even holidays. In a bowl, you add in your gelatin while you slowly stir in the boiling hot water. Stir until the gelatin is completely dissolved. Then you grab your body wash and mix it in. Grab your food coloring and mix in around 5 to 10 drops depending on how bold you want the color to be. Then pour the mixture into the molds and let them set up. 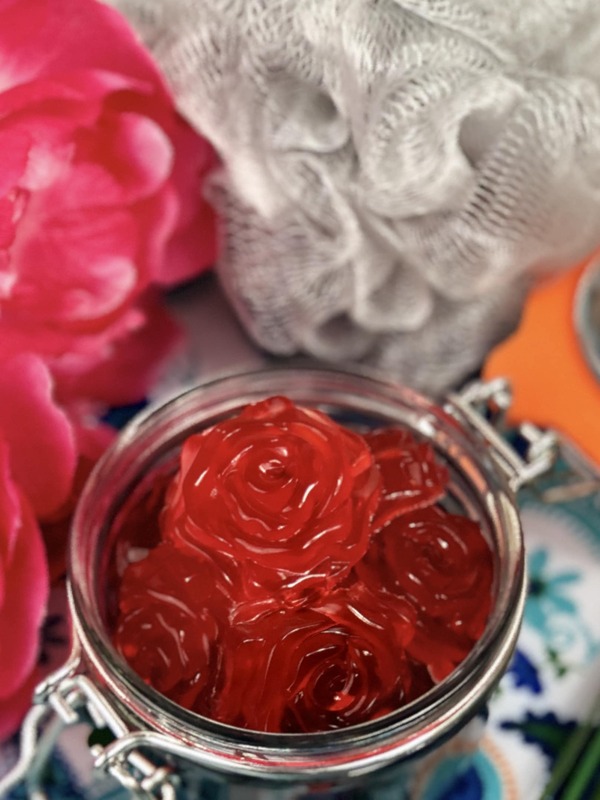 As you can see that is all it takes to make these lush, inspired jellies that will really make your shower feel more like a spa pampering session. And it won’t even cost you a fraction of what a lush shower jelly would if you went and purchased one in stores. While I love to treat myself on occasion to Lush goodies, I do my best to make them at home so I don’t break my piggy bank! I hope you all enjoy this quick and easy tutorial on how to make shower jelly at home. If you are a Lush fan than you will swoon over this DIY Lush inspired shower jelly I created! Not to mention this lush, inspired shower jelly will save you a ton when it comes to your billfold. I love the bright and bold colors and all the glitter that you find in the Lush stores, and not to mention all the fantastic aromas that come from their shower jellies, bath bombs and other goodies they carry! 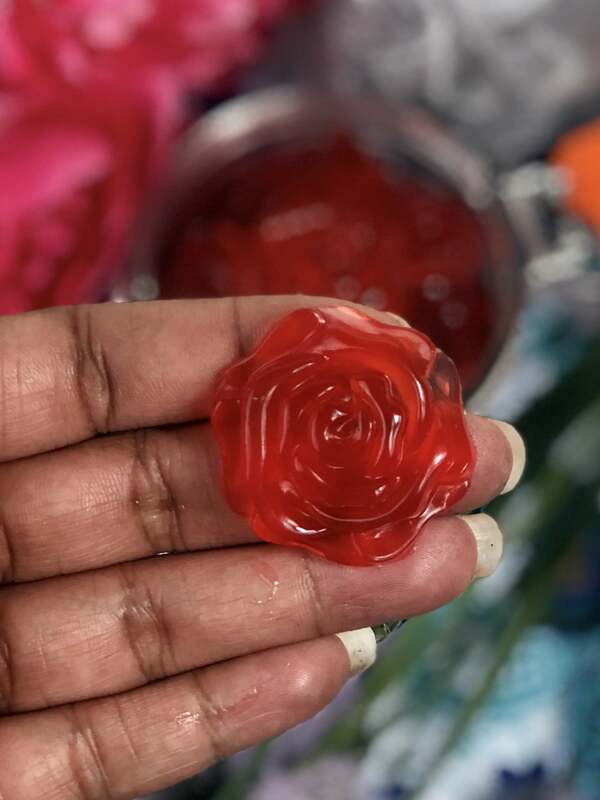 These should be stored in a cool dry place and used within 3 months of making them You may store in the fridge but make sure you don't have little that will mistake them for jello, these are not edible. I love reading DIY posts and I thought this was so cool!